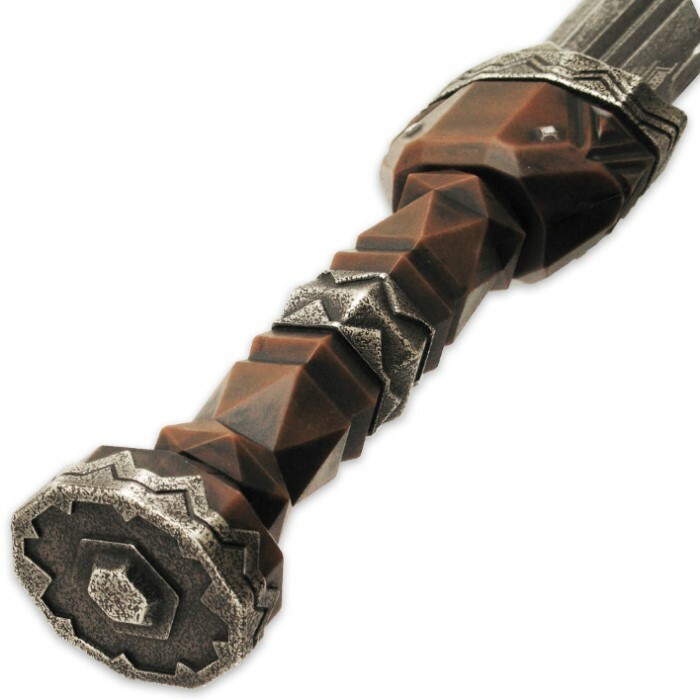 Officially Licensed The Hobbit Sword of Fili | BUDK.com - Knives & Swords At The Lowest Prices! 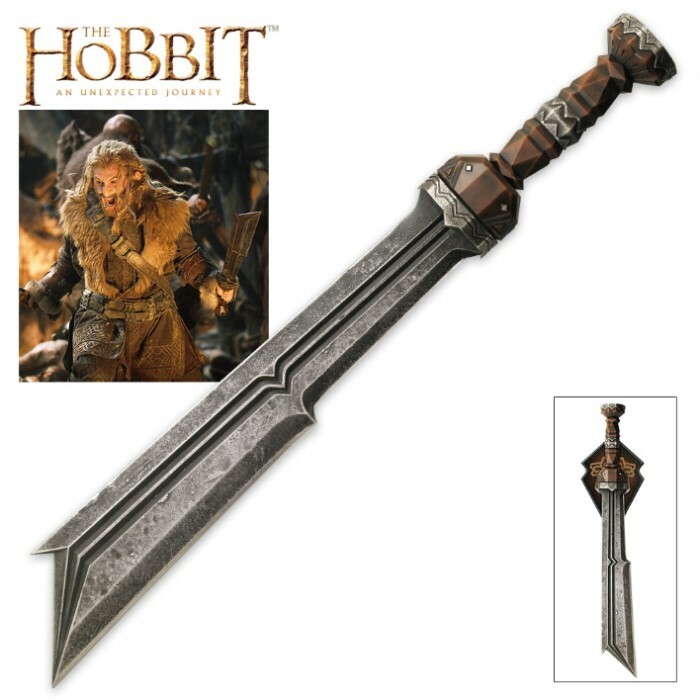 This authentically detailed replica Sword of Fili is a reproduction of the actual filming prop built by Weta Workshop of New Zealand and used in the motion picture, THE HOBBIT: AN UNEXPECTED JOURNEY. United Cutlery, industry leader in fine movie reproductions, has meticulously recreated the prop using only the finest grade materials and craftsmanship. I was very happy to see United release some Dwarven weapons to contrast with all the Elven swords and armor they've put out. This stout little sword has a tremendous weight to it, and the angular design gives it a purely Dwarven aesthetic. The one caveat to the design is the combination of a very heavy blade and plastic hilt, which makes for a bit of wobble when you pick it up. As a wall hanger it serves its purpose brilliantly. Props (get it?) to United for giving the Dwarves some much-needed representation in their line of replicas. 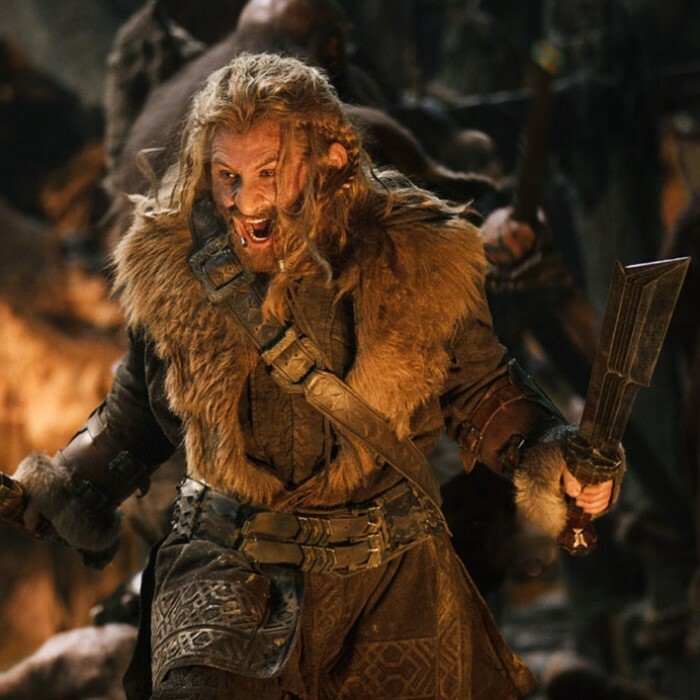 People often forget that the dwarves were very stout and powerful beings, but when you first pick up Fili's short sword you immediately realize what it would take to wield it with any proficiency without doing yourself any physical harm!!! Just got this in today! This is one hefty sword. Even though it's only 25 inches long, it weighs roughly 5lbs! The weathered look is incredible and the handle and wall mount are amazing as well. Pick one up for yourself! This sword is awesome-good weight in a small sword-perfect replica-definitely recommend to anyone that is a LOTR & Hobbit fan.